About Masumi T. Message Masumi T.
Thank you for a wonderful day Masumi! What fun! We enjoyed the castle,folk village,&dressing up in traditional Okinawa outfits! Perfect day of touring! TOUR GUIDE RESPONSE: Thank you for the rating! I enjoyed the day with you all, too! Hope you will come back to Okinawa again. Masumi's command of the English language is superb! We had a wonderful time with her, especially her choice of a typical Okinawa restaurant. I would recommend her for any tour you are considering of this city. TOUR GUIDE RESPONSE: Thank you very much for the rating. I hope you had a wonderful time in Ishigaki as well. Musumi was waiting for us when we exited the ship and had a very comfortable minivan taxi waiting for us with a excellent driver. Musumi shared a lot of history with us about Okinawa as we drove around the island. The stops were more "tourist" stops then I care for but I don't think there are many options. We did do a drive along the shoreline and a stop at the cape overlooking the shoreline which was more what I enjoy. Musumi was excellent and I would recommend her for touring Okinawa. TOUR GUIDE RESPONSE: Thank you for the rating. Yes, I noticed you were not so enjoying the spots we visited. I should have noticed when we went to the castle. I am glad you enjoyed the shoreline. Hope you have a good time in Taiwan and the rest of your trip. And thank you for the information on the cancel of the port call. Masumi was waiting for us at the cruise ship terminal and we took a taxi to the Kokusai shopping street. From one end of Kokusai, we walked the length of the street taking a detour through some of the side streets. Throughout the walk, Masumi described the local customs and foods that we encountered. We walk to Pottery street and Masumi taught us about the history of pottery craft in Okinawa. 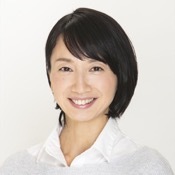 We highly recommend Masumi for her cheerfulness, knowledge, and helpfulness. I've never been disappointed when I've chosen ToursByLocals. Their guides have always been outstanding. Masumi was one of the best. She treated our group of 12 like family. In spite of being delayed in getting off the ship, we still were able to see Shuri Castle, Okinawa World, and Kokusai Street. Masumi is very personable and helpful. She took care of my mother-in-law while the rest of us walked through Gyokusendo Cave, and she helped us navigate a street market, answering all our questions. TOUR GUIDE RESPONSE: Thank you very much for the rating. I had a good time with all of you. Hope you will come back to Okinawa in the future again. Masumi took us on a few adventures over our 3 days with her. Highlights included Chuarumi Aquarium, Pineapple Park and Zamami island...paradise!! We are all looking forward to returning to Okinawa!! TOUR GUIDE RESPONSE: Thank you so much for the rating. I enjoyed the time with your party. I hope you will visit Okinawa again to see different parts and I would be happy to be your tour guide again. This was the second year in a row that I brought my students to Okinawa, and it was a pleasure to spend time with Masumi again! She is an exceptional guide and a wonderful person, and she easily tailored our tour for the teenagers who participated and handled all of the details. Masumi greatly enriched our visit to Okinawa, and she has my highest recommendation. Thank you Masumi for the tour in Naha for our cruise critic group. It was a wonderful day and enjoyed your commentary and guiding. TOUR GUIDE RESPONSE: Thank you Carol for the good rating and comment. I enjoyed thee tour with your group, too. I hope you could come to Okinawa again in the near future! Masumi is a lovely person and very knowledgeable about her adopted island of Okinawa. We had a really nice day with our personal favourite location being the Peace Park which is beautifully laid out and with extremely interesting exhibits relating to the war and battles on Okinawa of which we knew little before we arrived. Masumi's lovely nature, knowledge and organisation made for a really good tour and the taxi and driver were both high quality as well. TOUR GUIDE RESPONSE: Thank you very much for using my service and a warm comment. I was happy to be your tour guide. I hope you will come to Okinawa again in the future. TOUR GUIDE RESPONSE: Thank you very much for the rating and comments on my tour. I am glad to hear that you had fun with me. Please visit Okinawa again with your family. I am looking forward to seeing you again! We had a very good day which covered a lot of places of interest. Masumi was so informative and helpful.Probably the best way to tour the area. Thank you from all of our party. We had a great personalized tour by Masumi that was a nice mix of WWII memorial sites and beautiful natural viewpoints on Okinawa. She helped us find (lookup was in Japanese) a relative who was killed during the Battle of Okinawa at Memorial Peace Park and find their name on the Cornerstone of Peace memorial. While expensive for us, her tour allowed us the flexibility to see and do exactly what was most important to us in the time we had and have someone who could answer all our questions. Masumi was a fantastic guide! I am the Sensei of an American karate school, and I brought students to train in Okinawa. She was very knowledgeable, great with kids, and she made all the difference on our Northern Okinawa tour (compared to a day when we toured on our own). We plan to make this an annual trip, and look forward to working with Masumi again! TOUR GUIDE RESPONSE: Thank you very much for your rating and comment. I really enjoyed the day with you. I am looking forward to seeing you all again in the near future! We had just a few hours in Naha and Masumi was able to give us an interesting tour of the UNESCO sites as well as the shopping streets. She was pleasant, knowdledgeable, spoke clear English and accommodated are interest and needs. Would not hesitate to recommend her in the future. TOUR GUIDE RESPONSE: Thank you very much for the rating. I had a good time with you as well. I hope you and your family will come to Okinawa and Japan again to explore more! Masumi was an excellent guide for our half day in Naha. She was knowledgeable, patient and fun. Her English was excellent. She knew the island well, and was able to show us the places we wanted to see (including "Pottery Street", which we loved), and still had us back to our ship without any issues as to sailing time. We recommend her completely. Masumi is extremely friendly and knowledgeable. My family and I were in Okinawa for only 6 hours. We were met on time, in a large comfortable van. Masumi made us very feel welcome. We saw the Shurijo Castle before all the tour busses and after went to the Navy Underground Headquarters. The best part, exploring the main town with Masumi. She allowed us to explore at our own pace and we never felt rushed. Couldn't have asked for a better tour. Can't wait to come back. Excellent guide --knowledgeable, gracious, a delight. We were very very pleased. Masumi san speaks outstanding English which made us very homely and our stay a very pleasant experience. Masumi san is very helpful and resourceful in recommending outstanding local delights to our group, especially for finding great restaurants large enough to house all of us (large grp of 21 pax/5 families); all of which authentic and memorable. Thorough ande detailed in her planning, we thank her for the wonderful time we had in Okinawa. We were a family of 5 and had Masumi take us for 2 half-day tours to the northern and southern areas of Okinawa. She arranged for a very comfortable limo van to pick us up at our hotel & chauffeur us around to so many interesting places. 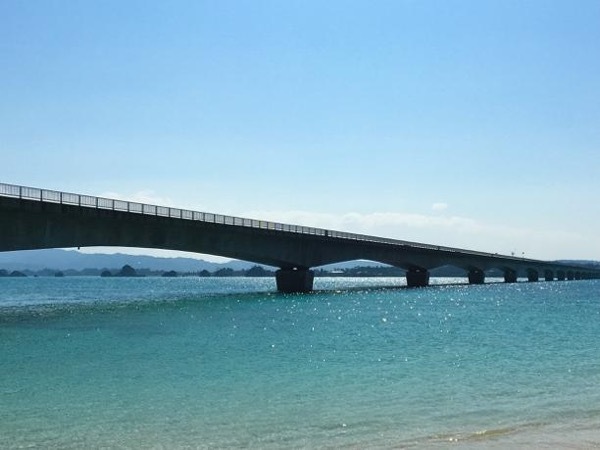 She also made some great recommendations which only added to our Okinawa experience. Masumi is so gracious, understanding and accommodating. We would not hesitate to recommend her to fellow travellers.